The foundation for the Mark of the Beast is being laid even as you read these words. The precursor to the seven-headed ten-horned empire that will spawn the Antichrist and the Mark of the Beast is actually busy developing the means to implement the final global economic system even before the Antichrist is revealed. And as it turns out, this early preparation is absolutely necessary. In order to successfully develop an economy where some kind of mark validates an individual’s ability to buy or sell, an extensive control network needs to be set up and operational worldwide. If the system was not all encompassing and completely foolproof, it would be too easy to get around the requirement for the Mark simply if the buyer and seller agree not to use it. To prevent this obvious loophole, it now appears certain that the Antichrist’s system will completely eliminate the physical transfer of money (paper money and coins) and will replace it with a currency system associated with the Mark of the Beast (Rev. 13:16-18). To authenticate the transfer of value between a buyer and seller, there will have to be a behind-the-scenes operation that will authorize each commercial activity and then transfer the new currency between the parties. If the validation is not successful, then the transfer of money could not occur and the transaction would fail. From our perspective today, the system of the Beast is developing to involve digital currency and an authentication process that is done using the extensive electronic capabilities and networks that have been put in place over the last generation. These developments are leading the world to a cashless society where everything will be controlled. Incredibly, these developments in the technology and financial worlds are occurring in the same time frame as the fulfillment of all of the other predictions written in the Bible for the last days. Nearly everything associated with end times prophecy had its initial beginning sometime around the point of Israel’s rebirth or shortly thereafter. 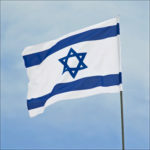 In other words, the number one signpost of the end of the age, Israel becoming a nation, is also the starting point for many of the other prophecies of Christ’s return. What an incredible God who could predict these events thousands of years before they were destined to occur and bring them all together in our time! The march toward implementation of the Mark of the Beast is a fascinating story. Its origins can be traced back to innovators and inventors within not only the academic research community, but also within the electronics, computer, and communications industries, along with government involvement, contributions from major retail companies, as well as the banking and finance sectors. In the following sections we will look at the key developments in these diverse areas and see how they are all converging and leading the world down the path to the final economic system of the Beast. It will become clear that these varied but interrelated developments have led to an insidious plot to totally change the way the world operates and does business. As soon as the man of sin arises, this system will be fully capable and ready to begin the marking program. It is only through an understanding of these developments that we can discover how the Mark and the number 666 will come to characterize the entire system of the Beast. The key ingredients that have made possible the development of the Mark and the Antichrist’s economic system involve the inventions leading to the microprocessor. The age of electronics reached a revolutionary turning point in 1947 with an invention that made possible many devices that we now take for granted. In that year, John Bardeen, Walter Brattain, and William Shockley working at Bell Labs invented the design for the first transistor circuit. 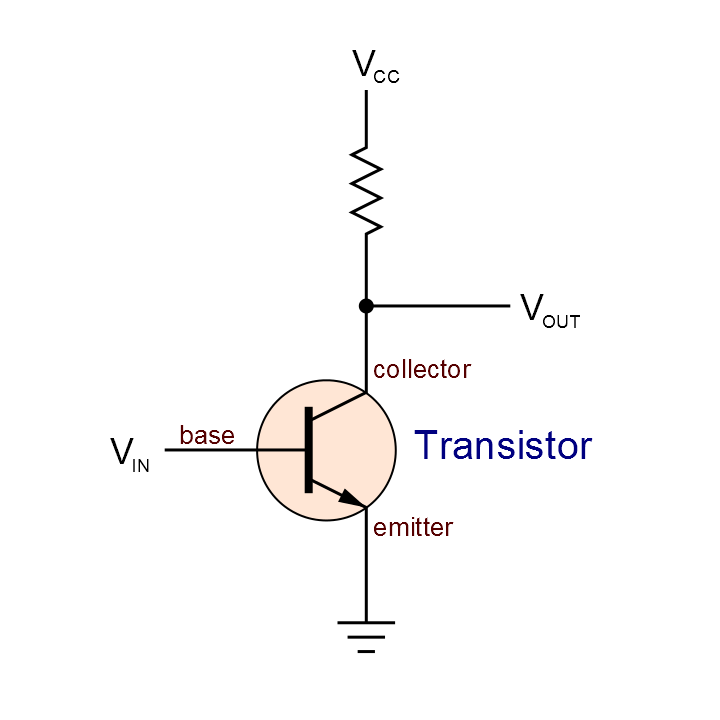 In its most basic form, a transistor uses a semiconductor material along with an input having a small voltage signal (the base) to produce and control an amplified signal at another pair of terminals (the collector and emitter). This circuit design can be used to amplify signals and also to turn on or off a second signal like a switch. It was the switching aspect of the invention that created the ability to form logic gates, which today are the fundamental components of every programmable electronic circuit in existence. Bardeen, Brattain, and Shockley went on to win the Nobel Prize in 1956 for the achievement, and their amazing invention literally changed the course of modern history. Within a few short years, the familiar large vacuum tubes that were once the standard electronic switching and amplifying devices of the early 1900s, were being replaced by tiny transistors. In the decades since that time, the electronics industry has tried to manufacture circuitry of ever-smaller dimensions and greater power efficiency. They realized that if the circuits necessary to make a computing device were small enough, then the benefits of such technology could be made available for everyone. 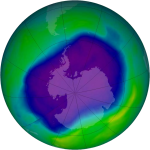 It seems unbelievable, though, just how fast this science has progressed. After World War II, the state of the art in electronics still consisted of vacuum tubes, which were in such devices as television sets, radios, and record players in almost every home. 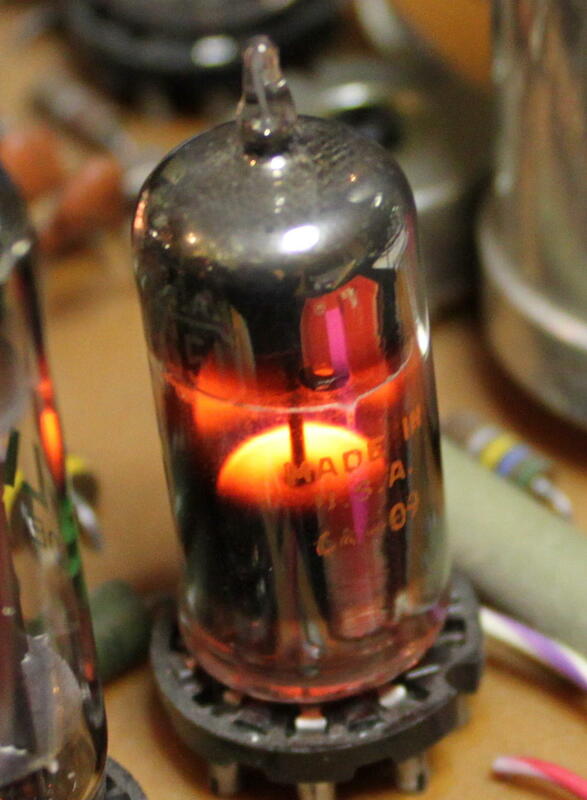 Those bulky tubes were actually the electronic amplifiers and switches necessary for performing the functions required for each device to work. Throughout the 1940’s scientists used these tubes to construct what amounted to the first modern electronic computing systems. The Smithsonian Museum has elaborate displays showing the history of these early machines. One such computer, constructed in 1946, contained nearly 18,000 vacuum tubes, weighed tons, and took a huge room to contain it. The name given to the device was ENIAC, which stood for “Electronic Numerical Integrator and Calculator”. It was actually the first all-electronic computer ever built. Many other similar vacuum-tube computers were constructed throughout the 1940’s and early 1950’s. Though great progress was made in electronics technology during those early years, by no means could it be said that these machines, which weighed up to 60,000 pounds and cost millions of dollars to build, could possibly do much to affect the way we live. However, the invention of the transistor changed everything. Using tiny transistors instead of vacuum tubes to build electronic devices, the technology was suddenly poised to take a giant leap forward. Instead of containing massive vacuum tubes with their large wired interconnections assembled by hand, circuits could be made on silicon at a scale tinier than ever thought possible and their assembly could be automated. As transistor technology advanced, it made possible dramatically smaller electronic devices, especially as the size of each transistor shrunk from something that you could hold in your hand to microscopically small circuits that could not even be seen with the naked eye. 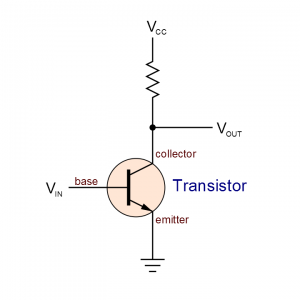 It was only ten years after the development of the transistor that true integrated circuitry finally became a reality. This meant that multiple transistor switching gates could be produced on the same silicon chip, paving the way for ever smaller devices. As a result, the multi-ton computing monsters that were constructed in the 1940’s quickly gave way to more powerful and compact systems. Instead of having countless miles of large interconnecting wires and thousands of vacuum tubes consuming kilowatts of electricity, suddenly the processing brains of such systems could be made of circuits that fit in a relatively small enclosure. As an offshoot of the circuitry’s new compactness, the decade of the 1960’s saw computer technology make still another major innovation. Integrated circuit boards made it possible to move computers out of the theoretical research labs to the front door of industries all over the world. Large processors called mainframes were built which became the accounting and financial workhorses of many corporations. 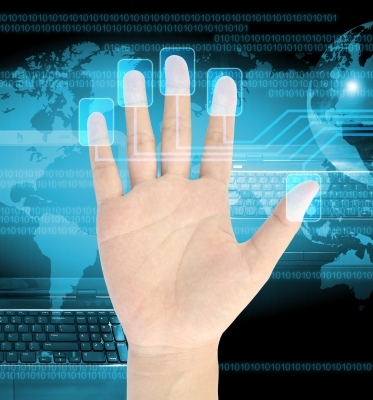 Almost all electronic and scientific endeavors began to rely on computer processing. Huge companies materialized almost overnight which were dedicated to manufacturing and selling this hot new technology. In less than a twenty-year period from the invention of the transistor, computers had suddenly become a common and needed tool to do business in a fast-changing world. The secret to this astounding leap of technology was the ability to pack an ever-increasing amount of components onto a tiny silicon chip less than a centimeter square. In the mid-1960s, the state of the art in circuit design consisted of a chip containing only about ten transistors (Microelectronics and Society, A Report to The Club of Rome, p.43, 1983, Pergamon Press, Inc., Elmsford, NY). 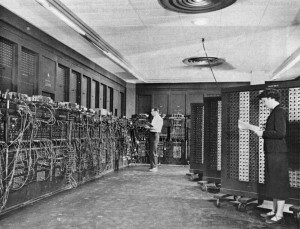 Although this configuration significantly helped to reduce the overall size of computers, it was a far cry from being able to make them accessible to the general public. “…in the United States, Intel, now a major manufacturer of integrated circuits, developed the first microprocessor, that is a central processing unit (CPU), where the logic and arithmetic functions can be performed on a single silicon chip of less than 0.5 centimeter per side. In 1975 the same company managed to assemble a complete computer on a single printed circuit board. One year later it announced the production of an eight-bit computer consisting of 20,000 transistors on a single silicon chip” (Microelectronics and Society, p.40). By the decade of the 1970s a major functional circuitry breakthrough was finally accomplished, namely placing an entire computer processor on a single chip. Intel Corporation had made commercially available for the first time a central processor which could handle all the logic and mathematical functions of a complete computer. Coined “microprocessors”, these small devices were poised to revolutionize the way we handle information. With this kind of technology in hand, silicon chips could be fashioned to contain not only transistors, but also the diodes, resistors and capacitors necessary to make computing devices work. It was solely due to the availability of these microprocessors that a whole new industry sprang up almost overnight in the mid-1970’s. This industry was based upon something no one had ever thought possible, the personal computer. The idea was a novel one. In only a few short years since chip technology made possible the calculator, people were now making entire computing systems small enough to sit on a desktop. With the introduction of the first mass-produced Apple and Radio Shack computers, each person could have at their disposal the equivalent in processing power that formerly could only be contained in a room full of equipment. Most of those first personal computers were in fact much more powerful than the massive ENIAC computer. From that point the technology snowballed. By 1980, chip manufacturers could put up to 100,000 transistors on a single processor chip. Ten years later the number was in the millions. Today, these chips are being built using circuit dimensions at the low end of the nanometer (nm) scale, the latest of which are only 22-billionths of a meter in size. 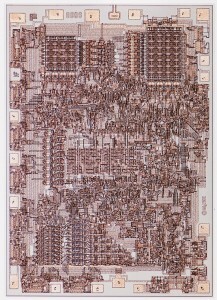 The Haswell computer chips from Intel use 22 nm circuitry with 3-D transistor designs and contain billions of transistors in an area no larger than one square centimeter. Intel’s web site says that microprocessor manufacturing technology is the most complex production process on Earth and it takes hundreds of steps to make a final processor. The complexity of each chip is so great that relatively few people understand microprocessor design even though billions of people now make use of them on a daily basis. The major chip manufacturers now make over one billion microprocessors each year. Over the years, with every incremental increase in chip density and transistor count within microprocessors came an associated increase in processing speed. The first personal computers could perform nearly 100,000 instructions per second (equal to 0.1 million instructions per second or 0.1 MIPS). 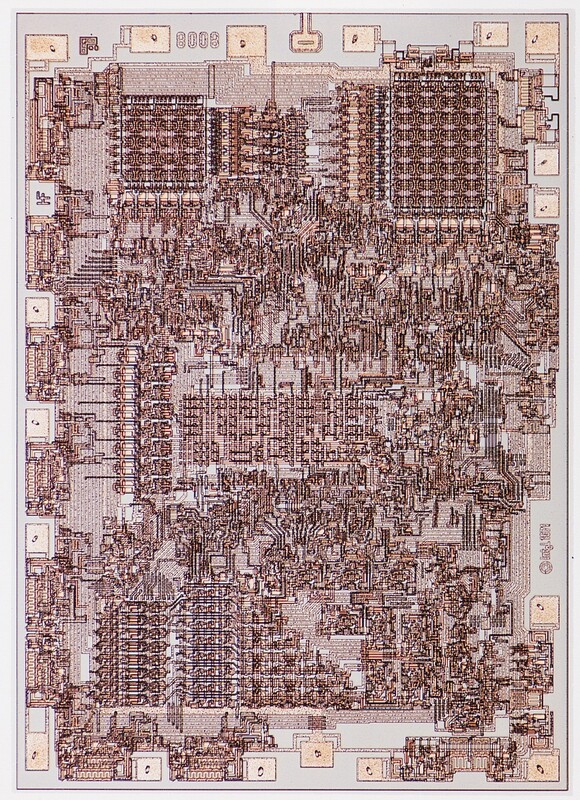 The first multipurpose processor put out by Intel in 1974 (the 8080) had a processing speed of about 0.33 MIPS. By 1982, the Intel 286 processor increased the throughput to 2.66 MIPS and in 1987 Motorola introduced the 68030, which could perform at 18 MIPS. Not to be outdone, in 1992 Intel launched the 486 processor family that had an instruction throughput rate of 54 MIPS, and this brought considerable graphics and calculation speed to the average desktop computer. The speed and processing capabilities that personal computers had reached during the mid-1990s facilitated the coming of the advanced graphical user interface and the World Wide Web. Over the last 20 years, the speed of personal computers has continued to increase almost exponentially. Today’s most advanced multi-core processors are capable of performing at speeds of 140,000—180,000 MIPS, which is up to 1.8 million times faster than the first microprocessor Intel created in 1971! Memory chips too have grown dramatically in density and storage capability. During the mid-1980s the typical computer contained at most hundreds-of-thousands of bytes of random access memory (RAM) (one thousand bytes is equivalent to approximately one kilobyte or KB). Today, the typical personal computer system contains at least several gigabytes (GB) of RAM or over one million times more memory than early personal computers. Similarly, storage technology has advanced side-by-side with processor speed and RAM. A single hard drive now can routinely store over a terabyte (TB or one-trillion bytes) of information. The ability to store and process extreme amounts of data is making possible a global electronic network that can keep track of every activity done by people, businesses, and governments. Soon this network will control every aspect of society, including every financial transaction that occurs. Skynet may be rising, but it will not be run by intelligent machines of the Terminator movies, but by the Antichrist and the Empire-Beast of Revelation! Without the advances in transistor fabrication and nanocircuitry, society would be much different than we now know it. In fact, there would be no personal computers or iPhones or digital TVs; no Internet or social media or instant messaging; no online banking or electronic payment systems; no bar codes or smart cards or even widespread use of credit cards; no cable or satellite TV services or streaming video; no electronically controlled ignition or fuel injection systems in vehicles; no modern airlines or global positioning systems; no communication or weather satellites; very limited or no space travel and considerably less of an understanding of physics and cosmology; no video surveillance cameras or electronically controlled traffic signals; no audio cassettes or audio CDs or mp3 files; no digital cameras or video recorders, no automated phone switching systems or electronically controlled electrical distribution networks; no guided missiles, smart bombs, or drones; no email or voice mail systems; and no method to automatically track or perform surveillance on people through biometrics, cell phone positioning, license plate reading, or video cameras. As technology races forward, computers are now a reality to billions of people, even to those in the poorest of nations. Computerized devices, systems, and operations that would have been unheard of only a few decades ago are now common-place in every corner of the globe. So quickly has this technology come upon us that we now take it for granted. It’s hard to even think of a time that we didn’t have computers. In fact, many people are young enough to never have known a time without computers. However, back in the late 1960’s, the New York Stock Exchange was still run completely by paper and manual operation. It actually had to shut down for a short period, because the information generated from normal trading was beginning to inundate and clog the whole system. In today’s world, the sheer volume traded daily on the stock exchanges would make any thought of returning to pre-computer days completely impossible. Thus, a major key to forming the system of the Beast lies in the advent of microelectronics and computer technology. Over the course of the last forty years, we have witnessed the development of the core technologies capable of making the prophecy of the Mark come true—at least from an operational perspective. Consider what it would take to produce a total switchover to an economy based upon something other than the exchange of paper money or coins. The financial accounting system necessary to pull it off would be mind-boggling. How would governments and financial institutions ever control and administer global transactions consisting of trillions of dollars in goods and services done without cash? Especially, when the infrastructure now consists of billions of people and millions of businesses doing billions of transactions every day, it would be virtually impossible to manage manually. Up to our point in history, commerce occurred through the actual exchange of tangible currency, as it has for many millennia. However, in a cashless economy based solely on an intangible transfer of value and validated by a mark, no such physical transfer would occur. Administering such a system never could be done by hand. In addition, implementing such an extensive control system for buying and selling never could be completely set up during the brief reign that is given to the Antichrist to lead the empire (1,260 days; see the sections on The Antichrist and the New World Order). Without an extensive period of preparation and development prior to the Antichrist’s rise, the Mark of the Beast would be a dismal failure. The reality is, the only way to successfully implement a universal marking program and a fully cashless society enforced and validated through the Mark would be if the essential parts of the system were already in place before the Antichrist arises. This is a radical statement. What very few people have considered before our time is that the precursor to the Empire of the Beast would be actively preparing for the revealing of the Antichrist long before he would arise. Whether the world realizes it or not, the foundations for the coming economic system of the Antichrist have been built by a series of technological developments and initiatives that have taken place over the last generation. This is all happening all around us on a global basis, and it consists of an ever-growing network of electronic communications all made possible by the recent advent of microelectronics, computer technology, and networking. Our society is now entirely dependent on computer technology and the networks linking them. Huge industries would disappear overnight if somehow computers could no longer be used. The combined total of all the industries involved in some form of information processing by computer now accounts the vast majority of the gross domestic product (GDP) of the United States and other nations. Major governmental organizations and corporations such as NASA, the Social Security Administration, the IRS, the Pentagon, the stock exchanges of the world, the communication industry, the banking industry, high tech industries, and countless other corporations could not even hope to function in today’s world without computers. These very electronic wizards that were created to serve us are now becoming our indispensable masters. David Burnham said that “as computers become more and more efficient and operate at a higher and higher psychological level…the catastrophe of the dominance by machines comes nearer and nearer” (The Rise of the Computer State, David Burnham, p.10). So dependent has society become on computers that there’s no choice left. Either we continue forward to whatever future computer technology holds, or face certain economic collapse if we dare to slow or reverse the process. The path toward the eventual total computerization of society has become a one-way street. We couldn’t turn back now even if we wanted to. The advent of the microprocessor has in effect started a second industrial revolution. The society that has resulted from its implementation is a dramatic change from anything that came before. Even now, the manufacture of goods from raw materials to finished products is being controlled and managed by specially programmed computers. In some industries, automated factories with armies of robots have replaced the manual labor of the past.  In the retail industry, electronically managed inventory and purchasing at stores has radically modified the way business is done. All of our homes, businesses, and government agencies are being linked through the glue of electronic impulses traveling over the wired and wireless Internet. Society’s structure is becoming completely rebuilt and almost unrecognizable as we march toward this bold new electronic future. “…the promise of the microprocessor…could lead to the virtual abolition of poverty and the tyranny of work. In fact, the microprocessor could be the key to Utopia” (Microelectronics and Society, p. 26). The hope expressed in microprocessors by the Club of Rome is that with greater and greater electronic control, the drudgery of life will finally disappear. The utopian society envisioned by some could be one in which man can relax and let advanced robots and programmed devices take over. Indeed, the microprocessor is already spreading far beyond the computer. Microprocessor chips will be merged with nearly every electronic device and networked together to provide a linked digital organism that will tie everyone and everything on Earth together through the Internet. Not only will you be able to receive information from these smart devices, but you will also have the ability to interact with the entire system through the vast interconnected network. Soon, those that manage the network will not only know who and where you are, but also will be able to track anything and everything anywhere on Earth. Microelectronics has made possible the ultimate surveillance system that will allow the Empire of the Beast to track and control the entire planet! How do these facts fit with a prophecy made centuries ago in the midst of a relatively primitive world? In precisely the same time period that saw Israel’s rebirth as a nation along with many other major signs of the end being fulfilled, the foundations were being laid for the Mark of the Beast and the Antichrist’s system based upon the development of microscopic transistors and circuitry. What began with a single transistor that could be held in your hand became miniaturized to the point where billions of them could be designed into electronic processors and memory chips. 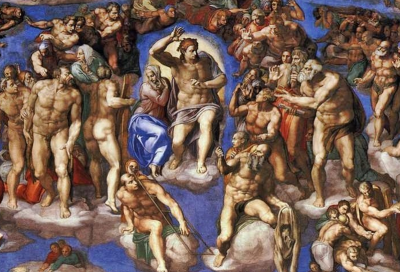 Without this technology revolution, the system of the Beast simply could not be realized. The rise of microelectronics and the tremendous processing ability of the latest microprocessors will provide the means to design a totally new system of commerce. The Biblical description of the Mark implies that the typical use of paper money and coins will be eliminated. In their place will be a medium of exchange that will be based upon a Mark placed in a person’s right hand or forehead. The problems associated with administering such a system would make it impossible if it had to be confined to the world of manual operations. This is because without a physical exchange of money, every transaction would have to be recorded, manually validated with the Mark, and then a transfer of currency credits be made—processes that would be impractical to do without computers. However, with the high-speed processing capabilities of the networks now in existence, their natural extension is in a cashless world of digital currency. “The move to the cashless society seems inevitable given the technological push provided by microelectronics and significant cost advantages associated with the transfer of funds electronically” (Microelectronics and Society, p.70). In the following sections we will see how a number of other technological developments are coming on the scene to complement computer technology and move the world closer to the system of the Beast.